Spread across 400 acres of organic farmland and beautiful scenery, Belle Mont Farm is a boutique hotel full of one-bedroom guesthouses and larger farmhouses. 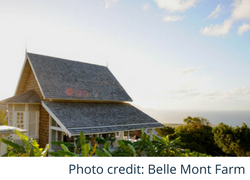 Located on the island of St. Kitts, Belle Mont Farm resides within the pioneering, sustainable-living community of Kittitian Hill where community, culture and conservation are the collective focus. When you think of the Caribbean, you might not always think of farming and farm-to-table living, but this destination gives guests the opportunity to indulge in authentic West Indies cuisine, without importing every ingredient from the mainland. While you can head down to The Kitchen, The Mill Bar, Arthur’s or The Farm to dine, room service is also available. If you decide to visit St. Kitts and satisfy your hunger at Belle Mont Farm, be sure to also explore the local Kittitian community. The island features a national park that takes up almost a quarter of the island! Living and visiting in harmony with the community and environment is an essential tenant of the Kittitian Hill culture. However, if you’re interested in a harmonious and sustainable vacation here, you’ll have to book far in advance (this community is very popular and has a waiting list). Named one of National Geographic’s Unique Lodges of the World, Rosalie Bay Resort is an eco-boutique resort that offers an authentic and high-quality Dominican experience, allowing guests to relax and engage with local wildlife. The resort is located on the island nation of Dominica, spread across 22 acres at the foothills of UNESCO World Heritage Site of Morne Trois Pitons. To top it off, it’s a pioneer in sustainability. The resort is powered by a 225 kW wind turbine and more than 200 solar panels. Solar power heats the hot water used throughout the resort, while a UV water filtration system makes sure the water is pure. Throughout Rosalie Bay you will find LED light fixtures, hand-carved furniture, recycled materials and fresh food from the resort’s organic garden. The destination works toward uncompromising sustainability not only within guests’ rooms, but also with the local environment. WIDECAST, or Wider Caribbean Sea Turtle Network, has partnered with the resort’s owner to protect leatherback, green and hawksbill sea turtles. The entire island’s black sand beaches are perfect for watching turtles lay eggs and hatch from the sand. 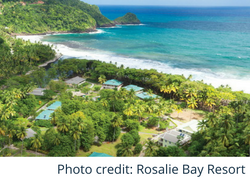 While Rosalie Bay Resort was named the No. 2 resort in the Caribbean by Conde Nast Traveler and winner of Travel + Leisure’s Global Vision Award, booking a room doesn’t require waiting on a long list. Rooms are currently available, making an eco-vacation a lot easier to plan. Are you interested in a green vacation, but would rather enjoy an all-inclusive resort? The Sandals Montego Bay flagship resort in Jamaica offers top-of-the-line accommodations, fine dining and unlimited services such as tennis, scuba diving and kayaking. In addition, the resort offers unlimited wine and spirits, a private beach and reef-protected waters. However, one fact that might be surprising is that all Sandals resorts participate in the EarthCheck program that ensures ecological responsiveness and eco-friendly practices. 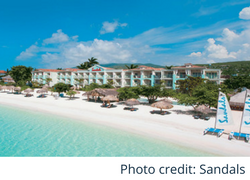 The Sandals Group, holding company of Sandals Montego Bay, also has its own Earth Guard policy that further promotes environmental responsibility. The Earth Guard and EarthCheck practices include water conservation, waste management and green tour programs that promote Earth-friendliness. All staff members are trained on environmental concerns, and all electrical equipment such as outdoor lights, refrigerators and spa-specific electronics are placed on timers or sensors. No matter whether you’re enjoying the reef-protected beaches or relaxing in your environmentally conscious room, Sandals Montego Bay can offer you an enticing, green vacation. 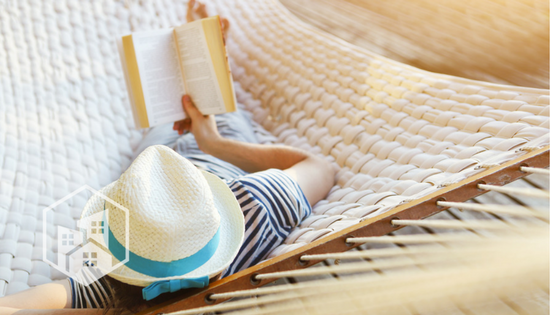 And if you can’t find availability at the Montego Bay resort, you can explore other Sandals resorts with peace-of-mind knowing they follow EarthCheck protocols. 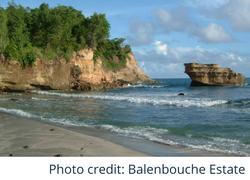 Positioned on a 75-acre organic farm on the southwest coast of Saint Lucia, the Balenbouche Estate is full of history dating back to the 18th century. Once a plantation home and sugar mill, the property is home to fruit orchards, pastures, lily ponds, a nature trail and, now, guest cottages. The historical vacation spot is close to local restaurants (within 10 minutes) and a supermarket (15 minutes). Balenbouche Estate has its own yoga studio where professionals offer massages and meditative therapies. With breakfast offered daily with local and organic ingredients, the destination offers detox and nutrition programs through its exotic yoga retreat. Since 1987, there have been no pesticides or chemical fertilizers used on the property. The estate is also home to Saint Lucia’s first organic certified farmer’s cooperative. The electricity on the island is diesel-generated, but the estate works to combat this by being energy efficient and utilizing alternative sources where possible. For example, water is heated with solar power and all laundry is air-dried. The property composts and recycles as well. And for the most part, the land has remained untouched for more than 200 years, preserving historical and archeological projects that make the area a diverse habitat for wildlife and plants. 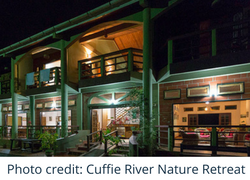 Located on Tobago, the smaller of two islands that make up the nation of Trinidad and Tobago, the Cuffie River Nature Retreat is a bird-lovers paradise with more than 100 species recorded at the hotel. The green vacation destination, as stated on its website, is a “romantic, secluded rainforest retreat.” With cozy rooms and quick access to the Western Hemisphere’s oldest protected rainforest, Cuffie River Nature Retreat’s caregivers have nature at the top of their minds. ea in mind. While the area is heavily forested, construction crews kept as many trees as possible – even using the trees’ natural shade to help keep internal climates comfortable. The walls are made of clay, which doesn’t attract heat and helps cool the buildings. There is a permanent rain-fed water system onsite, filtered by natural charcoal instead of chlorine. The property features low-flow toilets, a composting system for kitchen waste and a recycling program. Other features that guests can enjoy include an environmentally friendly salt water pool, specially crafted menus that use local materials, and cooking expertise from local chefs to ensure a unique and multi-ethnic dining experience. The retreat also offers several nature tours and excursions across the island by award-winning guides who can teach you about local vegetation and the history of traditional healing. If you’re interested in immersing yourself in the Caribbean forest, the Cuffie River Nature Retreat might be a great option.